This was actually kind of a "bad" year for Sunday Night Football. It had an especially rough stretch in the weeks leading up to the election. Going +6% in Plus and actually down double-digits in raw is its worst trend since the NBC primetime package began in 2006. NBC took a pass on programming event season, as usual. 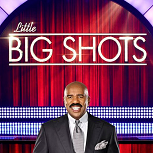 Little Big Shots did not get back to its heights from season one, but it was still a very potent player by the dreadful standards of Sunday broadcast primetime. 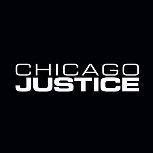 Chicago Justice and Shades of Blue were fairly moderate retainers of that audience, but that made them a significant improvement on the comedies that had aired in the 9:00 hour last spring. Little Big Shots: The above includes the three 1.1's on Wednesday in the summer, so as you can see in the spring section, its drops were not as bad when just comparing Sunday episodes. It actually came in a few hundredths above my Likeliest prediction, so kudos, but I didn't think I was being optimistic either. Whether you look at the early-season or the late-season eps, it took a clear step downward, but the numbers are still big for a Sunday self-starter. Grade: C+. Chicago Justice: I guess this cancellation goes down as one of the few wins for the Renewology formula, as it pretty much had it squarely on the bubble throughout while most of the "conventional wisdom" had it as a lock renewal. You could argue it is not that surprising, in a vacuum; given its big lead-in, it was a clear step weaker than the rest of the Chicago series. It was a level where NBC could justifiably have some worry about the prospect of over-extending the brand. The real slap in the face comes from the cancellation happening in the middle of an otherwise bizarrely generous season from NBC: Timeless AND Taken AND Trial and Error AND Great News (not to mention Justice lead-out Shades of Blue) all survived! This combination of events is rather difficult to explain. Grade: B-. 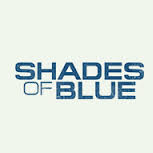 Shades of Blue: Sunday is tougher than Thursday but this was a show that was holding onto 1.0 with lead-ins from freakin' repeats of The Blacklist and Blindspot late in season one, while season two had a more stable support system from Chicago Justice. So I feel safe in saying it was not as impressive this year. It was no better than a high-end bubble show. Grade: C.
Here's the now updated Schedules Plus for NBC Sunday.